Christmas is my favorite holiday, hands down. I think it's because of the feeling in the air that makes people have a charitable spirit and warm disposition. I mean, let's be real - I also love giving & receiving gifts, sparkly lights, sugary treats, sappy movies - the whole shebang. Hence, I've put together a to-do list of things to do that make me feel like I'm getting the most out of my favorite time of year! 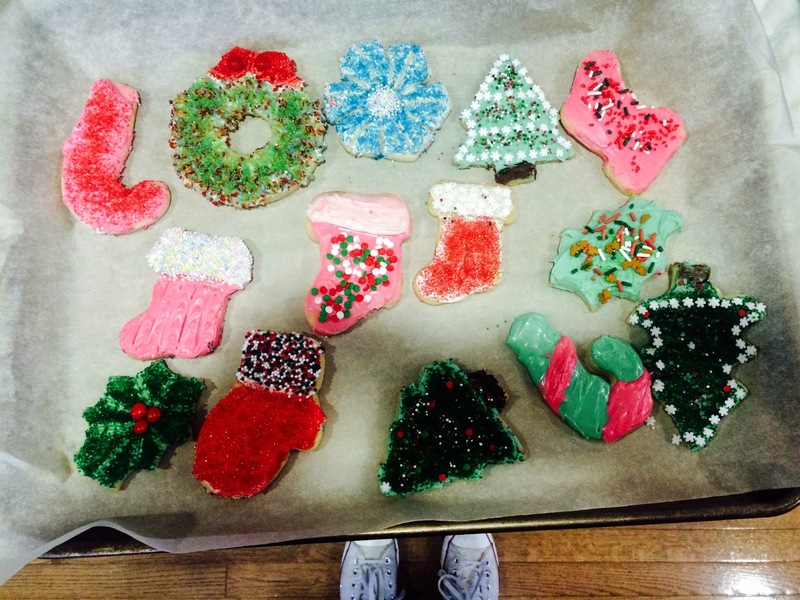 1) Bake & decorate Christmassy treats. Preferably with some sort of alcoholic beverage on hand. So far I've done cookies (with cider), a full cake (with mulled wine...and spiked eggnog) & truffles (with a hot toddys). I've also bought a gingerbread house to make, and I'm thinking it will pair well with Bailey's coffees. Yeaaaahh...I might have a small sweet tooth. Could you tell? 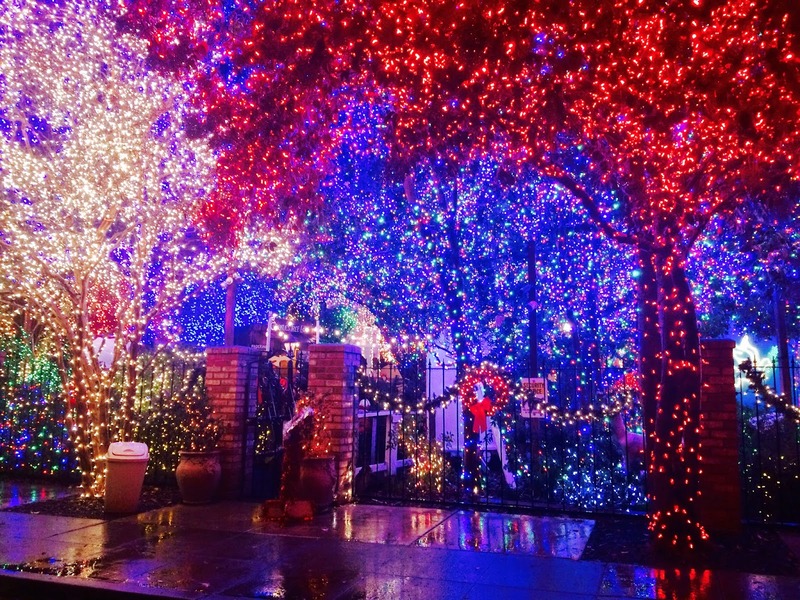 2) Take a drive to look at holiday lights, especially crazy ones! If you live in California and are looking for the best Christmas lights near you, check out www.lightsofthevalley.com for local listings! 3) Have a Christmas movie marathon. 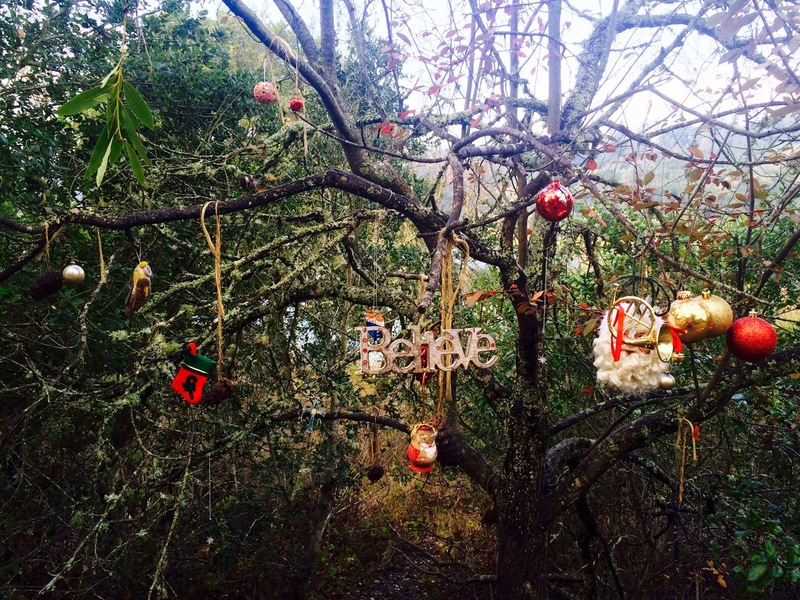 Ideally in a festive environment (i.e. in front of your tree with a fire going, a hot drink & a fluffy blanket. Essentials! ), or...in a pillow fort. One is never too old to build a pillow fort!! Some Christmas films I reccomend: Muppet Christmas Carol, Elf, Home Alone 1&2, Love Actually, & It's a Wonderful Life. 4) Relax with a festive bath. This time of year TONS of brands bring out really lovely bath products (my favorite are from Lush!) in amazing Christmassy scents. So light some candles, get a good book & a bath bomb and unwind from holiday stress! 5) Go ice skating. I've been trying to do this as a date night with the boy but he is a behemoth of a human and has the world's biggest feet, so finding a rink that has his size of skating shoes has proven to be difficult. But it WILL happen, I am determined! 6) Visit a Christmas market. 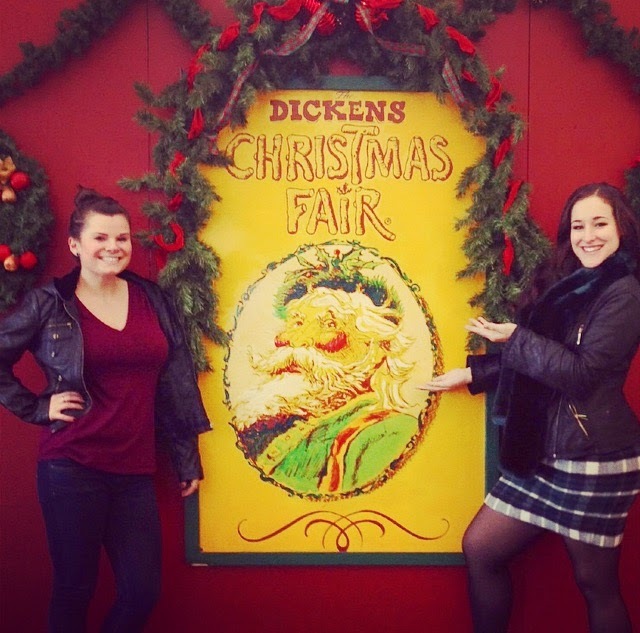 Julie and I had a lady date and visited the Dicken's Fair in San Francisco for the first time. I can't believe I haven't done this every year of my life because I freaking LOVED it! We spent our afternoon eating delicious fried food, listening to carols, drinking eggnog, watching some traditional dancing and painting pottery. Essentially we were residents of Victorian London for four hours. Best $30 I ever spent in my life! I'm definitely dressing up next year. 9) Visit/call people you haven't seen in a while. Reflect back on your year, who is important to you? Have you spoken to them recently? If not, call them. Say Merry Christmas. Tell the people you love that you love them. Hang out and catch up with old friends who are in town. That annoying aunt you've been avoiding? Call her too. I hate to be a downer but you never know when you're talking to someone for the last time, so stay connected & be kind. 10) Volunteer. Whether it's a homeless shelter, a food bank, a animal sanctuary, whatever - if you have a day to help those less fortunate than you, do it. Tis the season!